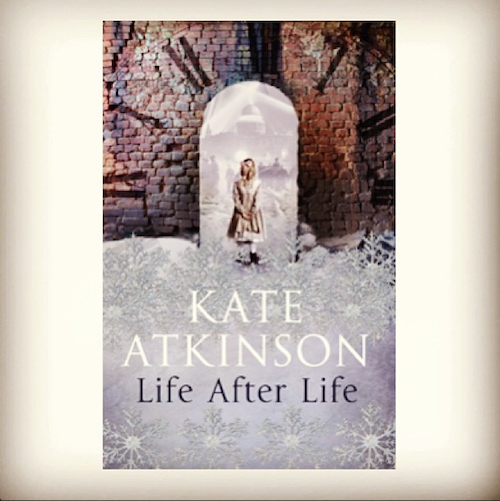 I have just finished reading Kate Atkinson’s Life After Life and the moment I turned the last page, I went onto Amazon and ordered a copy for my Mum. It’s excellent. I won’t give too much away, because I think that it’s always nice to have an element of surprise when you’re reading a new book, but I’ll give you a little taster. You know when you daydream about life and think “what if?” What if you’d done such and such differently, what if you’d asked out the boy from the bus stop or gone to Paris for your gap year? Or (and I don’t know who else does this) had morbid thoughts about what would have happened if you’d mistakenly left the gas cooker on one night or stupidly climbed out onto the roof to look for the cat? Well Life After Life is an exploration of the hundreds of ways in which a life can end, the paths a life can take, they way a life can be shaped (or not) by the decisions we make. It follows Ursula Todd as she is re-born again and again, each time experiencing a very slightly different life with slightly different events, and each time dying a different death. If this sounds tedious or morbid, I can assure you it’s not – every storyline is as interesting and touching as the last, and it’s a book more preoccupied with life than it is death. Because you get used to Ursula’s reincarnations, you start to accept each death almost enthusiastically, knowing that a new life is about to begin in the following chapter. It’s a unique and incredibly clever idea for a novel, and it’s a whopper of a novel, too – I’d recommend the Kindle version if you don’t want to give yourself arm strain! Then again, a lovely hardback could be treasured over the summer months and then passed on to a family member or friend – once you finish, I’m sure you’ll want to share. You need a bit of stamina to get through it, but then I have had to read it in four days as I had a bookclub deadline – those with a more leisurely approach will find it a breeze, I’m sure. Find the Kindle version on Amazon: Life After Life – the other versions should be available as options should you want them. Definitely one of my top summer reads!